Many have said that the Arab Spring has “failed” considering the number and duration of conflicts in Middle Eastern countries, especially Egypt and Syria. 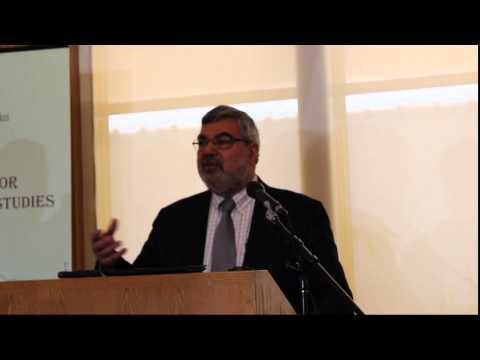 But expert Rami G. Khouri visited the University of Denver Thursday October 17th, 2013 to explain knowing America’s revolutionary history would better explain why things are so bloody in the East. Khouri, who is a Palestinian-Jordanian syndicated columnist with degrees in political science and journalism from American universities, said that for Westerners to understand the long and deadly conflicts in Syria, Egypt and elsewhere, they should examine how long it took the Americans to successfully revolt, create a viable constitution, legistlative and judicial bodies. It took more than 200 years after the 1776 American revolution to actually implement a democratic process that eventually gave citizens equal rights, he said in a lecture at DU’s Korbel School of International Studies. “This is why it is so complex to simultaneously define your constitution, shape the nature of your government system, address issues of minority rights… civil military balance….